Packed with no-nonsense puzzles, in a clear unfussy design, and at a great price! 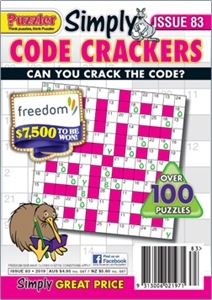 We don't compromise on the quality; just focus on supplying over 100 cracking good code puzzles every month. From one letter to three letter starters, these codes are just waiting to be cracked.